“Saints are sinners who kept on going.” As I was reading Barbara Hosbach’s new book, I was reminded of this quote by Robert Louis Stevenson. 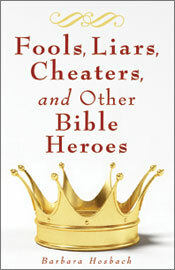 “Fools, Liars, Cheaters and Other Bible Heros” is a delightful book that tells the stories of biblical characters who all responded to God’s call. With a title like that, whose interest wouldn’t be piqued? From the book blurb: Fools. Liars. Cheaters. Who would expect the likes of these to be invited to the heavenly banquet? But in his parable comparing the kingdom of God to a wedding feast, Jesus tells us that the king invited “both good and bad” (Matthew 22:10). He not only invited people with social standing, but the poor, the disabled, and anybody else his servants could find (see Luke 14:21, 23). Quite an assortment of guests! This is a great read for anyone interested in learning more about the characters of the Bible, first from the Old Testament: the lesser known Mephibosheth, Naaman, Rahab, Gideon and the better known Rebecca, Leah, Miriam, Ruth and Esther (to name a few). From the New Testament, we hear more about the not-so-well-known Man at the Pool, Mary mother of John Mark, Lydia and Priscilla, again to name just a few. My favorites were the lesser known characters, although I also learned something about the more famous Biblical personas. Each chapter includes a story about a biblical character and is followed by questions for reflection and discussion. This book is available on Amazon and through Franciscan Media. 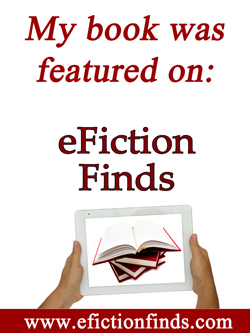 This entry was posted in Catholicity, reviews, Writing and tagged Barbara Hosbach. Bookmark the permalink. Thanks, Ellen, for your thoughtful and generous review. I really appreciate your words.